One of the reasons I'm a skeptic -- and rely on science -- is I know how unreliable my brain and sensory organs are. It's not that I'm not fond of my brain and sensory organs, mind you. They do pretty well most of the time, notwithstanding my rather crummy eyesight and my brain's fondness for singing "Copacabana" at me at two o'clock in the morning. We certainly perceive a lot of what's around us accurately enough to get by, or we'd have been heavily selected against when our ancestors were naked apes -- i.e., prey -- faced with lions and cheetahs on the African savanna. Still, if you're trying to evaluate claims scientifically, "I saw it" simply isn't sufficient. What we perceive, and (especially) what we remember, is a sort-of-kind-of amalgam of what we actually did perceive, what we thought we were perceiving, and what our preconceived notions about the situation told us was likely to happen. Add to that the notorious plasticity of our memories, and you get a total that explains why Carol and I frequently recount entirely different stories of the same event -- and are both completely convinced that our own version is the correct one. New York University, have blown another big hole in our assurance that what we see is actually what's there, and is unaffected by our preconceptions. I.e., that we all see and interpret the world the same way. In their paper "Content-Specific Activity in Frontoparietal and Default-Mode Networks During Prior-Guided Visual Perception," published in eLife Neuroscience last week, they show that our brains often can't figure out what we're seeing until we're primed with a hint about it -- and after that, we can't not see it. If you've never seen this before, you probably have no idea what you're looking at. I know I didn't -- until it was pointed out to me that in the upper half of the image is a dalmatian dog. See it? Now, can you unsee it -- go back to interpreting the image as a random pattern? I don't know about you, but I can't. Once it's a dog, it's always a dog. How prior knowledge shapes perceptual processing across the human brain, particularly in the frontoparietal (FPN) and default-mode (DMN) networks, remains unknown. Using ultra-high-field functional magnetic resonance imaging (fMRI), we elucidated the effects that the acquisition of prior knowledge has on perceptual processing across the brain. We observed that prior knowledge significantly impacted neural representations in the FPN and DMN, rendering responses to individual visual images more distinct from each other, and more similar to the image-specific prior. In addition, neural representations were structured in a hierarchy that remained stable across perceptual conditions, with early visual areas and DMN anchored at the two extremes. Two large-scale cortical gradients occur along this hierarchy: first, dimensionality of the neural representational space increased along the hierarchy; second, prior’s impact on neural representations was greater in higher-order areas. These results reveal extensive and graded influences of prior knowledge on perceptual processing across the brain. 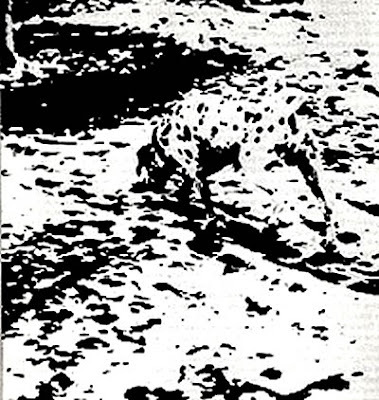 The researchers used a standard paradigm called Mooney images, which are black and white images degraded so that they are difficult to interpret. However, when primed with an undegraded grayscale version of the image (called disambiguation), it becomes trivially easy to interpret the Mooney image. The effects of this priming may last from days to indefinitely. The researchers confirmed this priming effect, and that it is very robust. What this means is that what the subjects saw was determined as much, if not more, by their memories (of the disambiguation image) as by their current visual stimuli. What you remember is as or more important than what you are seeing, at least when what you are seeing is ambiguous. So once again, "You see what you want to see and hear what you want to hear" has been shown to be substantially correct. All the more reason that eyewitness testimony, which is the most powerful evidence in a court of law, should actually be viewed with a wry eye -- because not only our memories, but what we think we're actually seeing, is as influenced by our guesses as it is by what we're viewing. Which should give you pause the next time you're tempted to say, "But I saw it with my own eyes!"